A leak from earlier this month hinted at Google's Pixel 3a and Pixel 3a XL going official in May. Now, the search giant itself has teased May 7 announcement for these mid-rangers. Google has set up a page on its online store promoting the upcoming Avengers: Endgame movie. The page has a big "G" logo in purple shade with "Help is on the way." written underneath. 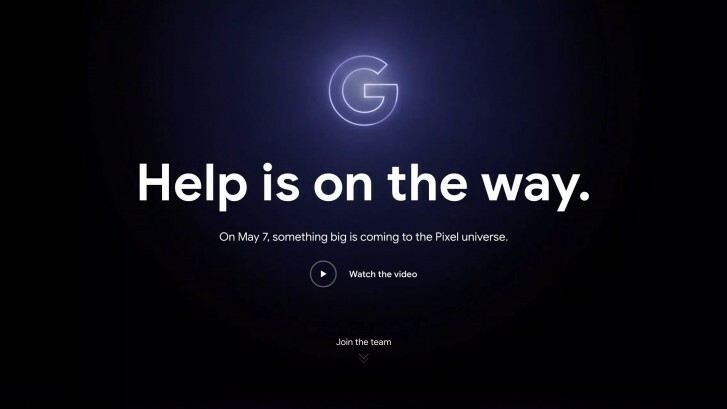 It also has text that reads "On May 7, something big is coming to the Pixel universe" which hints at the announcement of the Pixel 3a and 3a XL on the said date. Google has also announced a Playmoji pack for the Pixels which includes MCU superheroes like Thor, Black Widow, Iron Man, and Captain America. The company also shared a video ad showing how the Pixel helps the New Yorkers focus on their work, take a selfie with alien ships, and find their way around the city amidst all the chaos. You can check out the video below. Google hasn't divulged much about these upcoming Pixels, but thanks to previous leaks, we know that both the 3a and 3a XL will sport FHD+ displays and pack 4GB RAM. The Pixel 3a will come with a 5.6-inch screen whereas the 3a XL will boast a 6-inch panel. Pretty much yes, as long as they have similar 12MP Sony sensors and enough CPU for image stacking. Google camera lens are generic crap that everyone uses. So yeah, it will not be same but very similar.